Cloud technology will be the backbone infrastructure for more sustainable cities of the future, but you can start transforming your city today. AWS and our partner ecosystem can help you implement smart city solutions to support your goals around energy efficiency, air quality, intelligent transportation, public safety, public health, and other programs focused on improving quality of life for your citizens. What makes a city smart? Your data and your vision! By leveraging the multiple data sources that you have today and integrating additional datasets, you can design modern programs and services that make a city smart. Through sensors, connectivity, and analytics, AWS can help you begin your transformation. AWS offers a broad set of global cloud-based products including compute, storage, databases, analytics, networking, mobile, developer tools, management tools, IoT, security and enterprise applications. Customers can use these services to build agile, secure, and cost-effective solutions quickly. 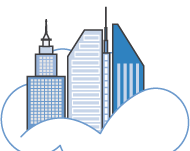 Customers also have the option to deploy solutions provided by our partners on top of AWS. AWS enabled partner solutions help cities implement smart transportation systems that use data, applications, and technology to help people and goods move more quickly, cheaply, and efficiently. Following are some popular use cases. Miovision TrafficLink monitors and manages traffic signals remotely to prioritize resources and solve issues before they escalate. Open architecture allows for easy and secure integration with existing traffic cabinet hardware and software, with no updates required. Using SmartView cameras, TrafficLink provides detection and actionable insights using the world’s most advanced traffic AI. This lays the foundation of the connected city by supporting vehicle to intersection (V2I) technology, while enabling transit priority and emergency preemption today. 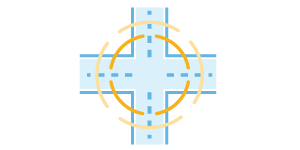 GRIDSMART is an intersection actuation product that actually “sees” the center of the intersection. The GRIDSMART system is made up of a bell-shaped camera and connected into a process (GS2) in the traffic cabinet. The GRIDSMART system actuates the intersection, provides video feed for situational awareness, and collects and records data on everything happening at the intersection, counts, speed, vehicle classification, and many others. PARK SMART is a software platform which indicates in real time the availability of parking lots in monitored areas. The software uses the physical infrastructure of video sensors, including existing sensors, to process the images, and provide information on the availability of parking to a mobile app. The system monitors not only the single parking space but even each car parked. To learn more click here. 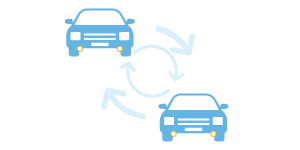 Public transit and city fleet vehicles communicate with their home agency when it is time for maintenance or replacement. Prioritize and optimize your vehicle fleet maintenance with a comprehensive management tool for monitoring vehicle health. Improve maintenance decisions through analyzing vehicle health trends, prioritizing high risk vehicles, and diagnosing and aggregating vehicle equipment failures using machine learning pattern recognition and data visualization. Vizalytics Technology enable smart cities and are powered by open data and AWS. It gives citizens a real-time view about what's happening in the community and how that impacts going from point to point – whether by mass transit, bicycle, foot, or car. Philips CityTouch is a lighting management system for public lighting. It offers simple web applications to analyze, plan, and maintain workflow management. CityTouch allows cities to monitor how much energy street lights are using and which ones need repair. Make better decisions and use of resources by monitoring, managing, and measuring your light management system with CityTouch. Make sense of pedestrian, vehicle, and rail journey data. Citi Logik has developed unique algorithms and applied these to aggregated anonymized mobile network data in the UK. It gives cities a comprehensive view of a city transport system, including travel patterns, peak, off-peak, seasonal, and historic patterns allowing cities to make informed decisions for future transportation projects and improvements. TransitScreen offers a network of connected screens to help make cities healthier, sustainable, and more accessible for everyone. Information about transportation choices is displayed at a glance, live, and in real-time. Compare train times to bus arrivals on the way to work in the morning. Know when an employee shuttle arrives so no one is caught waiting in the cold. The service is active in every major city in the US and Canada, and select European cities in over 10 languages. Moovit’s Mobile app turns bus and train riders into real-time sensors for city government. It integrates with city back-end systems to improve both service and rider experience, powered worldwide by the AWS Cloud. Veniam turns vehicles into Wi-Fi hotspots and builds city-scale vehicular networks that expand wireless coverage and collect terabytes of urban data. In controlled spaces, such as ports and container terminals, Veniam’s solutions ensure that all mobile workers and assets are securely connected, no matter where they are or at what speed they are moving. Hardware, software, and cloud components are running in the world's largest network of connected vehicles, including taxis, waste collection trucks, and public bus fleets. AWS and our partner ecosystem can help Justice and Public Safety agencies modernize systems while reducing costs. Following are some popular use cases. ShotSpotter delivers real-time gunshot notifications to law enforcement so they can dispatch to the precise location of the gunshot. The ShotSpotter Flex gunfire data service streamlines the complexity and cost of traditional technology purchases by offering gunshot detection as a hosted, cloud-based service. This affordable annual subscription eliminates the need to purchase and maintain sensors, allowing agencies of all sizes and budgets to deploy a first-in-class gunfire alert and analysis systems. JusticeXchange is an integrated justice solution that provides an instant, up-to-date database of information from thousands of agencies across the country. JusticeXchange, puts millions of nationwide booking records at your fingertips and makes justice information sharing fast and easy to locate persons of interest. 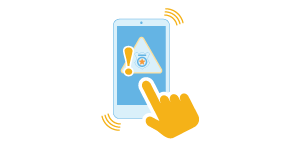 Emergency Aware Services (EAS) is a state-of-the art platform that applies complex algorithms and analytics to vast amounts of data from IoT objects—such as smart phones, wearables, sensors, cameras, and smart buildings. The results are compiled, organized, and fed to public safety professionals, first responders, incident commanders and civic personnel to help them make better decisions in real-time. BlueLine Grid supports the mission-critical collaboration needs of the most demanding government agencies and the world’s leading corporations. BlueLine Grid improves the productivity and safety of government and corporate clients by allowing them to locate and securely communicate with their mobile workforces and partners, anywhere and at any time. The unique identity-based platform includes encrypted mass notification, group messaging, file sharing, location tracking, and one-click conference calling tools dedicated to the demanding needs of public and private security officials. 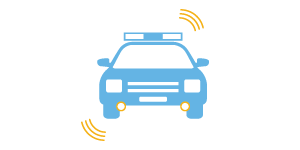 Rocket IoT™ makes vehicles a powerful Wi-Fi hotspot, offering secure Wi-Fi up to 1500 feet around the vehicle. 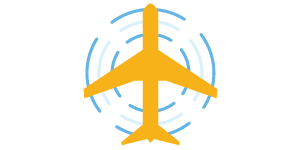 The Rocket IoT can provide wireless Internet access for unlimited devices, requiring only one cellular plan per vehicle. It can support two USB modems from separate carriers and leverage them to stay online. That way, if one cellular network is unavailable, there is an automatic failover to the other modem, keeping data communications operational. Sensors can be used to monitor hazardous conditions that typically results in fire. Emergency response teams can be alerted so timely help can be provided. HunchLab is a web-based crime forecasting system created by Azavea. Its core function helps police departments allocate resources more efficiently by better anticipating crime risk. Through advanced machine learning algorithms, HunchLab is able to combine multiple datasets into one to identify times and locations where crime is most likely to occur. Then it designs a proactive policing strategy with the goal of reducing crime in the community. Utility, Inc. develops the smartest body-worn technology in the world, incorporating real-time communications for the best situational awareness possible during the most critical times. 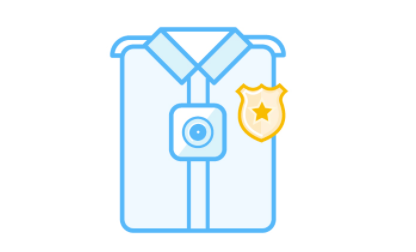 Unlike other body cameras, BodyWorn™ has automatic recording triggers based on policies, officer down reporting and alerting, live video streaming, and secure automatic wireless offload to AWS cloud storage. Using sensors in low lying areas to detect possible flooding conditions will allow cities to complement existing water gauges and successfully monitor and respond to hazardous conditions. 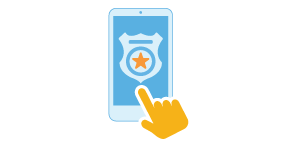 Socrata for Public Safety enables law enforcement agencies to share their data, increase transparency into their performance and goals, and instill greater trust and engagement with their communities. The solution suite includes interactive products for sharing real-time information about public service and law enforcement activities, publish agency data within context so that information is not misconstrued or manipulated, engage the community with applications and information products that allow them to easily discover and interpret the data, define and track progress on data-driven performance metrics, and discover opportunities for data-driven operational efficiency gains. AWS enabled smart health solutions can help lower cost of providing quality healthcare and services to citizens while improving safety to citizens. Following are some popular use cases. Air quality sensors deployed across the city (e.g. park, large buildings or other points of interest) provide much better and accurate air quality readings than current method of macro readings. This data can be used to alert vulnerable citizen population. Using potable water monitoring solutions, cities are able to monitor quality of drinking water and alert. Remote monitoring solutions such as those enabled by IoT and voice enabled technology can give healthcare providers the option to move patients to their home and still monitor status; reducing overall cost of treatment without impacting level of care. Deploying sensors to monitor snow build up on road surfaces, sidewalks, etc. will provide public works team within a city to reduce risk associated with slippery conditions to both pedestrians and motorists. AWS and our partner ecosystem can help with solutions that help reduce negative impacts on environment while improving quality of life for citizens. Following are some popular use cases. C3 Energy Management enables large enterprises, government agencies, and utilities to cost effectively achieve data-driven energy management. Benchmark building performance, track sustainability goals, and implement environmental stewardship. 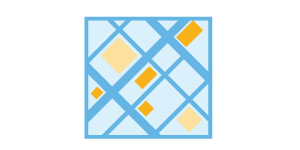 OpenGrid for Smart Cities is an interactive, map-based platform for exploring publicly-available open data sets in an easy-to-use-interface. OpenGrid enables municipalities to offer residents, businesses, and communities a better way to interact with public data. Users can perform advanced queries to filter data as well as search within custom boundaries or based on the user's location. Humidity sensors deployed near irrigation sprinklers in parks and other public areas can be used to measure moisture content of the ground; data, when combined with data from weather forecast, can be used to control sprinkler systems and dispense water only when humidity level falls below a pre-determined threshold and there is no forecast of rain in near future. Sensor deployed in garbage containers throughout the city can inform how full the container is. 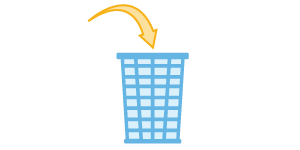 Depending on data from the sensors and their location, trash collection routes can be optimized to only clear the containers that are above a pre-determined level. 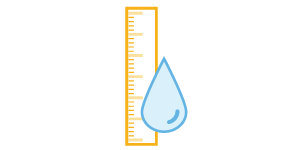 Water flow measurement sensors can be used to capture and transmit real time data about water flow. Unexpected water flow issues could indicate leaks; providing early warning alerts to public works teams in the city. Customers have flexibility to deploy smart city solutions by using a partner platform on AWS, or by deploying individual solutions on AWS to meet particular needs. Platforms provide the advantage of rapid deployment while allowing customers to add additional functionality or solutions in the future. Platforms also allow for easy data integration across multiple smart city solutions. DataV - A complete software solution engineered for business and industrial Internet of Things use cases. DataV is a software platform that businesses can employ to connect remote devices, monitor data streams, automate corrective processes, predict adverse conditions before they occur, and optimize the performance of critical business assets. C3 IoT provides a proven, full-stack platform for building next-generation enterprise IoT and big data analytics applications. The C3 IoT Platform enables the design, development, deployment & operation of next-generation IoT and big data applications that apply machine learning to recommend actions based on real-time analysis of big data sets, enterprise & 3rd party data sources, & telemetry data from IoT devices. Develop and deliver powerful IoT solutions that deliver transformative business value. ThingWorx is the purpose-built IoT platform that enables rapid creation of complete applications for the smart, connected world. 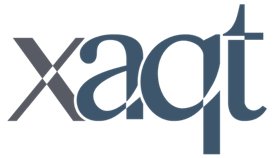 Its unique Thing Model framework allows it to seamlessly integrate with other technologies, including Augmented Reality (ThingWorx Studio) and ThingWorx Industrial Connectivity powered by Kepware. Gain real-time insight into operations with data from AWS IoT to improve monitoring & diagnostics, safety & compliance, preventative maintenance, and asset lifecycle management. Splunk ingests, analyzes and visualizes real-time and historical machine data from any source including devices powered by AWS IoT. Customers use Splunk to harness the power of the machine data generated by connected devices and IoT services. ThingLogix Foundry is a connected product platform, for rapid design, development, and deployment of IoT solutions. ThingLogix Professional services helps companies accelerate their adoption of IoT and Cloud Computing. By assisting companies with IoT strategy, technology selection, application development, deployment and support. Xaqt's urban analytics platform bridges people and data with policy and best practices to help policymakers and citizens better understand how cities function. The core platform handles data integration and deep analytics, and makes insights accessible to drive collaboration and data-sharing across the city. Xaqt makes smart city analytics modular and repeatable by deriving predictive insights from both legacy data-sources, such as open data portals, and emerging sources, such as sensors, mobile devices, and smart infrastructure. We work with a number of partners to bring the latest and most innovative smart solutions to our customers. Following are some examples. Appriss: Appriss’ flagship product, VINE® (Victim Information Notification Everyday) is a solution that provides victims of crime and other concerned citizens access to timely and reliable information regarding offenders. Blue Line Grid: BlueLine Grid improves the productivity and safety of government and corporate clients by allowing them to locate and securely communicate with their mobile workforces and partners, anywhere and at any time. C3 IoT: The C3 IoT Platform enables the design, development, deployment & operation of next-generation IoT and big data applications that apply machine learning to recommend actions based on real-time analysis of big data sets, enterprise & 3rd party data sources, & telemetry data from IoT devices. Citilogik: Citi Logik has developed unique algorithms and applied these to aggregated anonymized mobile network data that allows cities to make sense of their pedestrian, vehicle and rail journeys. Civic Resources Group: The Augmented Reality solution for public sector features visual search/ scanning of city assets for digital information and directional search allowing user to learn what is around them by simply pointing one’s mobile device. Citizens can explore points of interest, facilities and distant locations with 360 degree views remotely while simultaneously creating a localizing map that reflects the objects therein so they are anchored in the real world, all through your mobile device. Junar: Junar's cloud-based Open Data Platform is a fast, easy, affordable way to transform government data into resources that citizens can use. Junar delivers a cloud-based open data platform that enables businesses, governments, NGOs, and academia to free their data to drive new opportunities, collaboration, and transparency. Miovision: Spectrum is a turnkey solution that provides the data, connectivity and tools you need to remotely manage your traffic signals. The Spectrum SmartLink and Interface hardware integrate easily and securely with existing traffic cabinet hardware and software, with no updates required. Spectrum includes Miovision Signals, cloud-based software tools to remotely monitor and manage your traffic network. OpenDataSoft: OpenDataSoft is a turnkey SaaS platform developed to launch comprehensive Open Data portals in only a few hours. It revolutionizes Open Data catalogs by making it super-easy to publish data, share them as interactive data visualizations (maps, charts, pictures) and reuse them via automatically-generated APIs. 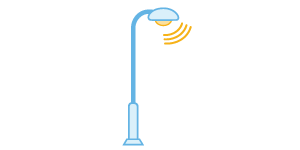 Philips CityTouch: Philips CityTouch is a lighting management system for public lighting. It offers simple web applications to analyze, plan and maintain workflow management, whilst you can monitor, manage and measure your connected lighting through the applications. ShotSpotter: Detect, Locate, and Alert on Gunfire in Under a Minute. ShotSpotter delivers real-time gunshot notifications to law enforcement so they can dispatch to the precise location of the gunshot, engage with the community, look for evidence and occasionally help victims and make arrests. Their goal is to help drive down illegal gun use. Socrata: Socrata provides software solutions that are designed exclusively for digital government. Socrata’s Data-as-a-Utility platform entirely overhauls today’s government data experience, delivering data-driven innovation and cost savings for hundreds of public sector leaders and millions of their constituents around the world. Transit Screen: TransitScreen is a global information company. Our network of connected screens help make cities healthier, sustainable and more accessible for everyone. Information about your transportation choices is displayed at a glance, live and in real-time. Compare train times to bus arrivals on your way to work in the morning. Utlility Inc: Utility’s BodyWorn video, audio and metadata can be accessed through its cloud-based digital evidence management solution, AVaiL Web™. Utility’s other solutions, Rocket IoT™ in-car video and Smart Redaction™ application for releasing video to the public, also leverage AWS cloud storage. Uturn Data Solutions: OpenGrid for Smart Cities is an interactive, map-based platform for exploring publicly-available open data sets in an easy-to-use-interface. OpenGrid enables municipalities to offer residents, businesses, and communities a better way to interact with public data. Users can perform advanced queries to filter data as well as search within custom boundaries or based on the user's location. 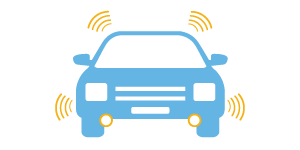 Veniam: Veniam turns vehicles into Wi-Fi hotspots and builds city-scale vehicular networks that expand wireless coverage and collect terabytes of urban data. In controlled spaces such as ports and container terminals, Veniam’s solutions ensure that all mobile workers and assets are securely connected, no matter where they are or at what speed they are moving. Vizalytics: Vizalytics Technology enable Smart cities and are powered by open data and AWS. We give citizens a real-time view about what's happening in their community and how that impacts going from point to point- whether by mass transit, bicycle, foot or car. West Corporation: The West Safety Services Business Unit’s Emergency Aware Services (EAS) supports public safety use cases that monitor, detect, and report emergency conditions from sensors and devices across multiple organizations. EAS uses business rules and analytics to convert these raw data streams into timely and actionable information for public safety and private industry. 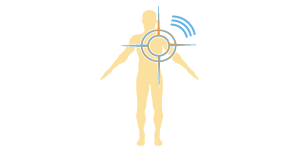 The sensor and device information is combined with other contextual data to enhance situational awareness during event, incident, or emergency situation. Data can be collected from smart buildings, smart city infrastructure, and wearable devices to advance public safety through smart technology. "A couple of years ago, a lot of projects were just ideas, and the focus was on whether they were even possible. Today, nobody really asks whether IoT and smart cities are feasible. We know that it’s possible. Now, it’s more about how can we deploy this." The 2013 floods in Cambodia covered almost half the country and affected nearly 1.7 million people. More than 50 people lost their lives and hundreds of thousands more were left homeless. Research from BBC Media subsequently stated that “more than a third [of people] received no information about the event that had affected them and three-quarters of those who did only received information during or after the event.” Through open-source technology, People in Need Cambodia, a non-governmental, nonprofit organization, developed the Tepmachcha flood detection units to improve the existing methods of flood forecasting and early warning in the country. The Caltrans project has one main goal: to reinvent traffic incident response for California. This requires coordinated development of tools, methodologies, and policy. The project includes a data hub to consolidate real-time IoT sensor datasets; scalable, real-time traffic modeling and forecasting; an incident response decision support system informed by data and models; and coordinated, real-time control of signals, ramp meters, and detour signs. Caltrans relies on its all-in move to the AWS Cloud to support data storage, analytics, and scaling for testing. Grand River Transit (GRT) in the Region of Waterloo, Ontario, Canada, needed to replace its on- premises legacy interactive voice response application to give bus riders access to bus arrival information. By deploying an AWS-hosted application that connected to GRT's real-time web service, riders can call and enter their bus stop number, and get real-time arrival information to help them plan their travel. The South Australian government is using AWS serverless architecture to reuse the 700+ Bluetooth devices in the Addinsight traffic management network as beacons for mobile devices. The agency’s departments will be able to register their fixed-location classic and low-energy Bluetooth devices in the system’s backend, enabling developers to deliver geo-specific content and information to their users. The solution exemplifies cross-departmental collaboration, and uses an innovative, serverless architecture that minimizes infrastructure spending. It also allows for open-data initiatives that increase transparency and reduce siloing of data. Benton Police Department of Arkansas is outfitting its officers with the latest body-worn technology and in-car video communications systems. It’s all part of a plan to develop an all-in-one, automated strategy that would fit seamlessly into their current regimen. The AWS-supported BodyWorn design and AVaiL Web Cloud Storage Platform automate the manual process of burning disks of in-car video evidence for court purposes – a system currently employed by the District Court, with plans to expand into the Circuit Court. Louisville, Kentucky, is building a next-generation, adaptive traffic-flow management system. The goal is to sense detrimental systemic changes to the circulatory nature of traffic, and automatically adjust infrastructure to mitigate impact. The city is able to undertake this feat thanks to the use of machine learning, real-time traffic data, IoT infrastructure, and interconnected systems. Once implemented, Louisville will be able to analyze data across many systems, allow officials to make data-driven decisions that positively impact the citizen. Lawrence Police Department partnered with BodyWorn by Utility to provide body worn camera technology in a bid to improve public safety, reduce crime, and build public trust between police and the citizens they serve. The project uses AWS for big data storage and analytics, empowering police officers to collect video and audio recording and instantly uploaded the data in a safe, encrypted storage environment. StormSense enhances the ability of Virginia Beach, and neighboring communities of Hampton Roads, VA, to predict coastal flooding. This early detection method – reliant on data from storm surges, rain, and tides – is replicable, scalable, and measurable, and has a global impact. The scope of the project includes the interests of coastal, local governments that seek to enhance their emergency preparedness via a network of IoT-enabled water-level sensors, collaborating with the hydrodynamic flood modeling and forecasting capabilities of the Virginia Institute of Marine Science (VIMS) and its VIMS TideWatch Network. 511.org is a free transportation information system for commuters in the San Francisco Bay Area. It’s jointly operated by the San Francisco Bay Area’s Metropolitan Transportation Commission (MTC), the California Highway Patrol, and the California Department of Transportation. The one-stop phone and web resource was designed to give visitors and residents of the nine-county Bay Area around-the-clock updates and information on traffic, transit, parking, carpool, and bicycling. Liverpool City Council adopted an innovative approach to procurement to enable cooperation between care providers and technology companies. The objective was to deliver an information and communications technology-enabled domiciliary care service to improve care outcomes and achieve cost and operational efficiencies. By introducing the LoRaWAN network, Liverpool has reduced the digital divide between those who have smart technology and those who don't. Federal spending on IoT jumped 20 percent to almost $9 billion in FY15. According to estimates by the McKinsey Global Institute, the IoT will have a total eco-nomic impact of up to $11 trillion by 2025. Sensor spending has nearly tripled from FY11 to FY15, growing 56% in the last year alone. AWS IoT Real-time stream processing. We will be attending these events. Please contact us if you would like to meet with our team and talk about smart city solutions.